I’ve often wondered what it would be like for someone who lived a hundred, five hundred or a thousand years ago to be brought into our modern world. After the initial shock at the advancements, would they be able to adopt and embrace our technology and the way we live or would they go utterly insane? The same could be said for taking us 500 years into the future and a world I’m sure we wouldn’t be able to comprehend despite how savvy we may think we are. I got to thinking, what if promotional products were available hundreds or thousands of years ago? What would be the favorite novelties of some famous historical figures? Julius Caesar: In 46 BC this Roman Emperor overhauled the Roman calendar and established a 365-day year. July is named in his honor so it makes sense he supplied his empire with a custom calendar each year. Lady Godiva: Legend has it she rode her horse naked through the streets of Coventry, England around 1040 AD to protest the high taxes her husband, an Earl, imposed on his tenants. She gave out blankets with her picture embroidered on them for peasants to use during the cold winters. Michelangelo: Between 1508 and 1512, this Renaissance man painted the ceiling of the Sistine Chapel in Rome with over 300 figures from the Book of Genesis. He commissioned a 500 piece custom puzzle of the ceiling to bestow on his friends and royalty. Christopher Columbus: After his successful trip to America Chris was often seen handing out globe stress balls, usually with a smirk on his face to those who told him the world was flat. George Washington: As he campaigned to be the first President of the United States he handed out campaign buttons to well-wishers. Actually he really did and these are the first documented use of promo items in an election…or anywhere. Benjamin Franklin: Ever since his experiments with kites and electricity Franklin would give away mini-kites to his political friends and fellow scientists. Abraham Lincoln: Lincoln was a prolific writer and would give his friends quill pens (made from real feathers) as a gift with his signature etched on the barrel of each quill. Clara Barton: Best known for starting the American Red Cross in 1881 and for handing out personal first-aid kits to all those she nursed back to health during the Civil War. The Wright Brothers: Despite their droll personalities, they enjoyed having fun and used Balsa wood gliders with their company’s name on one wing to promote their efforts with military and private businesses. Harry Houdini: The greatest escape artist of all time and debunker of spiritualists died ironically enough on Halloween night in 1926. During the height of his fame he used mini-handcuffs as his promotional giveaway. Obviously these people, other than Washington, didn’t have the benefit of promotional products to promote their business or cause. It wasn’t until the late 1800’s that someone began printing burlap sacks with logos to put merchandise in that the industry we know today as promotional products began. With more than 700,000 products that can be branded with a logo and unlimited custom designs, it’s hard not to find something that can promote your company. From mere pennies to hundreds of dollars per product, it’s a sure thing you can find just the right item to woo visitors at trade shows, with your customers or employees. Although biased, I would encourage you to work with a seasoned promotional products professional that will use his/her expertise to bring you just the right product for just the right price. 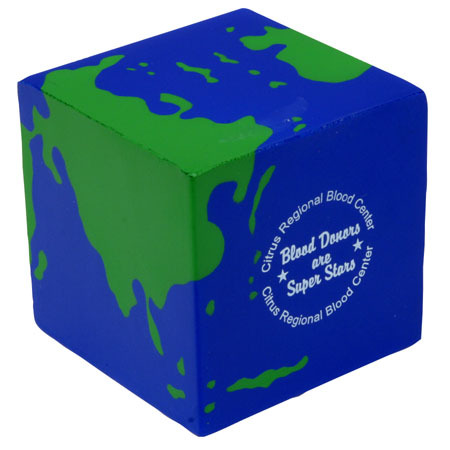 If Columbus’s detractors had been right, we’d be handing out earth cubes at global events! « It’s on a slow boat from China! You you should change the post subject Promotional products throughout history Musings from a Brandextender to more catching for your blog post you create. I liked the blog post however.